Intra-African competition in the services sector could help Africa better compete with developed countries. Competition between emerging markets in services and manufacturing has dramatically increased since the 2008 global financial crisis. While this is most clearly seen in Africa and is generally considered a boon for many economies, is there a downside to this type of competition? 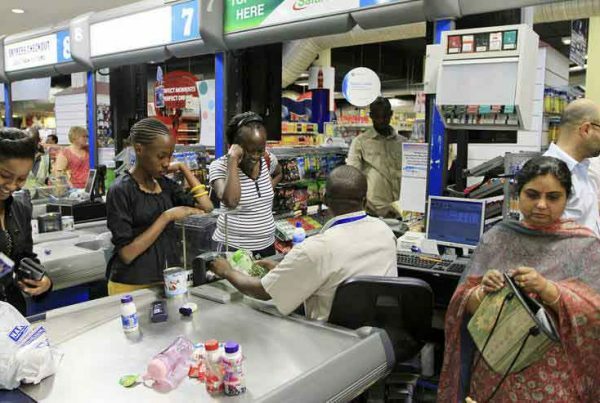 Competition, especially in the services sector, is generally a good thing for African emerging markets as it spurs innovation, the acquisition of new skills, and job creation. African companies are more inclined to take advantage of weak state regulations to create de facto monopolies in emerging markets that prohibit healthy competition from foreign firms. South Africa’s telecommunications giant MTN, for example, has garnered major market share in West Africa, making challenges from European operators less viable, despite the recent gains by the UK’s Vodacom and the UAE’s Etisalat. Additionally, increased focus on inter-emerging market competition can hurt African companies’ ability to compete in developed markets. Intra-African foreign direct investment (FDI) data from the past decade shows that Africa is a major destination for capital inflows. A big majority of the inflows originate from the continent itself, but does this intra-African investment, and increased competition, hamper African markets’ ability to compete globally? Perhaps. Does it affect the growth of these economies in the global marketplace? Not so much. 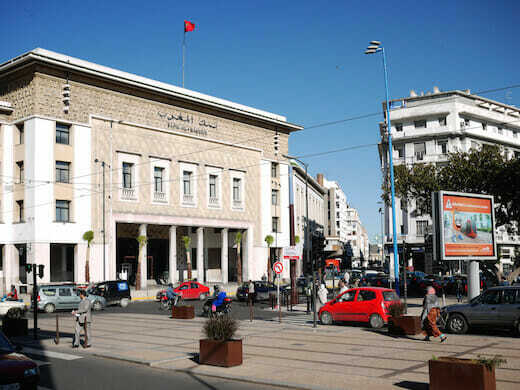 Morocco’s banking industry is considered one of the largest and most developed in Africa, along with those of South Africa, Kenya, and Nigeria. According to the IMF, there were 19 banks in Morocco with assets equivalent to 126% of the country’s GDP in 2013. Instead of relying on their links to French banks to expand into lucrative European markets, Moroccan banks are extending their reach into sub-Saharan Africa with the aim of increasing the loan footprint of their small- and medium-sized enterprises and funding business growth. Roughly 17% of their foreign activity is in Africa, and Moroccan banks are present in 22 African countries. 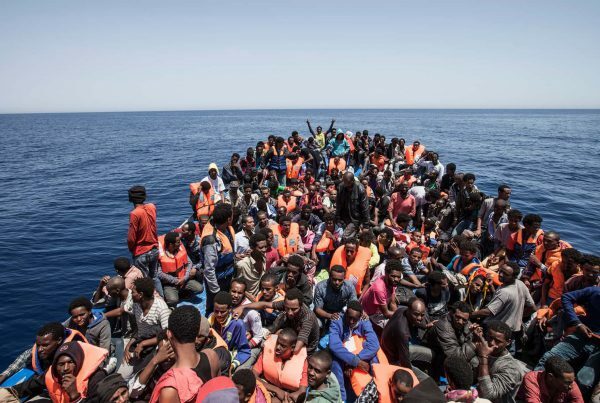 “Europe will always remain a primary partner for Morocco but Africa is now seen as the future in terms of growth and economic potential,” Morocco’s economy and finance minister, Mohamed Boussaid, told the Financial Times. This development fits neatly into Morocco’s position as a regional services hub and economic gateway to the continent. While the importance of European markets cannot be discounted, it makes more sense for Moroccan banks to focus on growth in markets closer to home, where they have a competitive advantage in the marketplace. As a result, West African markets are the new target for both Moroccan and South African banks. FDI data demonstrates the clearest picture of increased competition between African emerging market firms. In the last decade, African economies have attracted a major share of FDI. Surprisingly, most of it has come from other African countries, with the global financial crisis serving as a watershed moment for the acceleration of African FDI inflows in the continent. In 2007, intra-African greenfield FDI projects accounted for roughly 8% of global project investments in Africa. That number rose to 22% in 2013. According to the UN, FDI outflows from Africa decreased by 18%, from $16bn in 2013 to $13bn in 2014. Cross-border mergers and acquisitions (M&As) have followed a similar trend, demonstrating competition among Africa’s largest economies. 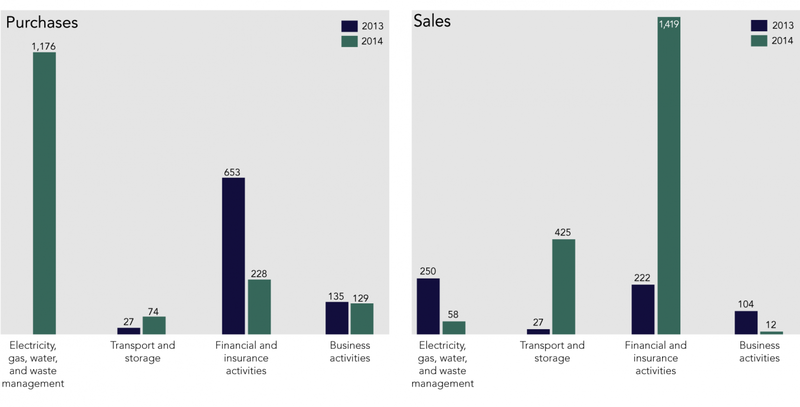 Between 2013 and 2014, cross-border M&As in the services sector increased from $1.1bn to $3.6bn. Sales in the same period increased from $368m to $2.2bn, according to figures from the UN. The services sector, concentrated in a handful of African markets, remains the most attractive sector for African FDI. While in more stable economies like South Africa the sector continues to be a safe bet for off-continent FDI inflows, the largest recipients of intra-African FDI projects over the past decade include several unlikely countries: Ghana, Tanzania, Kenya, Zambia, Rwanda, Nigeria, and Uganda. These countries received more than 45% of total intra-African investment between 2003 and 2013. 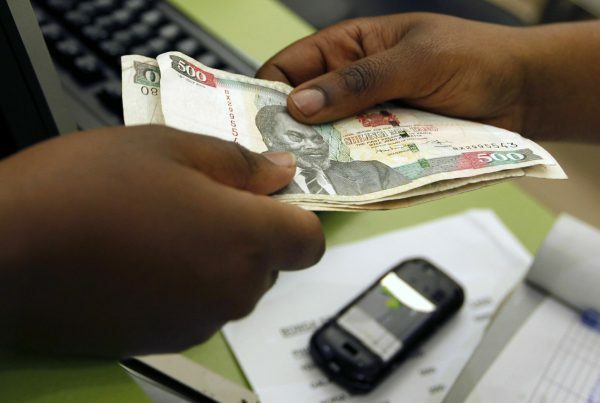 The data suggests a race between African firms to tap fresh markets on the continent. The rise of intra-African FDI and increased competition is clear, but how will this trend affect African firms competing with developed markets outside the continent? Are firms from developed countries losing their access to African markets due to increased competition? The removal of protectionist policies over the last decade has played a large part in the growth of emerging markets. Multinational companies rushed into markets from Turkey to South Africa looking for fresh growth opportunities. For consumers, the expanded offerings in services, products, and jobs were a welcome development. For emerging market firms, however, the opposite was true. Many local firms watched their dominant market positions, often secured by government protection, dissolve. Suddenly, these companies faced multinational companies that had substantial financial resources, better systems, international brand power, and supply-chain management experience. Was it not for this difficult period, many emerging market firms would not have acquired the skills needed to expand into other emerging markets. Thus, the opening of previously closed economies to multinational companies has helped create a competitive climate in places like Africa and Asia. The popular Philippines fast food company Jollibee Foods is a good example of these factors at work in Asia. When McDonald’s entered the Philippines market, local fast-food chains were forced to innovate with new products and services to protect their market share. Jollibee was able to compete with McDonald’s by offering local favourites and hybrid hamburger creations that incorporated ingredients like soy sauce. The formula eventually led to Jollibee’s expansion across Asia and, ironically, into the US, where it targeted the Filipino expatriate market. However, Jollibee’s expansion model is unique because the Philippines has a particularly large expatriate population that can be targeted. As of now, it seems that no African company has shown such an ability to capitalise on its diaspora. Between 2001 and 2012, FDI stock in African services increased fourfold, thanks to African companies’ ability to operate in complex, and sometimes duplicitous, market environments. They have experience with slow bureaucratic systems that define doing business across the continent. And, in difficult market conditions, supply-chain management experience counts for more than brand appeal. The rise of intra-African competition, which is clear from intra-African FDI flows, presents several opportunities for the continent’s emerging markets. Doing business in less developed markets will result in the creation of infrastructure, increased competition, enhanced brand value, and more innovative strategies that do not necessarily exist in more developed markets. Such strategies do not have to come at the expense of opportunities in developed markets, but the inward focus demonstrates a shift in growth opportunities. If competition continues, the reliance of emerging market economies on developed markets will decrease. This could result in the unmitigated growth of key economies in Africa at the cost of multinational companies’ ability to do business in new key markets. This is especially true of West Africa, as these multinational companies will find the market already saturated, especially in the services sector. Can African emerging markets increase their competitiveness simply by focusing on local markets rather than trying to gain access to developed markets outside the continent? The data suggests so, but this thesis could soon be tested given the current climate in which British and US businesses look for new opportunities outside of traditional markets such as the EU.